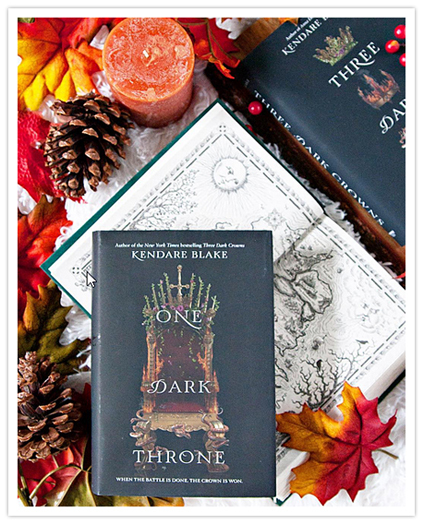 One Dark Throne by Kendare Blake was definitely one of my most anticipated reads for 2017, especially after that massive cliff-hanger ending in Three Dark Crowns. I've been pining away all year just waiting to get my hands on this book, and now that I've finally read it, I'll be pining away for the next books!! Can I start by saying that all of the characters in this book are awesome?? The three of the queens are all interesting, and each in different ways. I'm super curious to know what exactly is going on with one queen in particular, and I'm hoping we find out in the next book. Jules is still my most favorite character in the whole book, and I think I enjoyed her parts of the books the most, even though ALL the parts were pretty great. For some reason I thought this series was just a duology, and I kept expecting the story to wrap up the closer I got to the end of the book, but it didn't. I totally didn't realize that there will actually be two more books in the series, which would make it a... quadrilogy? Regardless, I'm pretty stocked that there will be more books to read, because I totally didn't get enough of this story, and I'm super curious to know what is going to happen next. 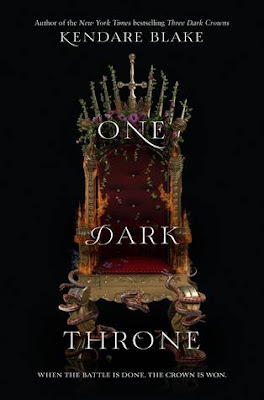 Overall; If you loved Three Dark Crowns, you'll definitely love One Dark Throne! Kendare Blake definitely does not disappoint, and I will anxiously waiting to get my hands on both the third and fourth book in this series, both of which are currently untitled, but are set to release in 2018 and 2019 respectively. I can't wait to get my hands on them!